1. 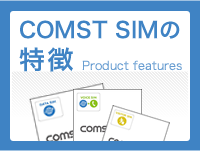 購入したい商品を選ぶ / Select item using "Cart" icon. 5. 商品が届きます / COMST will be arrived. Service time: 10:00-18:00 Weekdays only. We ship in 3 business days. We ship to Japan domestic only.